It seems that a lot of UCD students are turned off by the fact that we don’t play in the PAC-12 or another famous conference. It is an unfortunate fact that California happens to boast four research universities on par with Davis that do play in a top-level conference, creating a bit of a sense of entitlement in terms of being included in such an organization. The fact is, there are many, many DI conferences out there that aren’t major conferences, and the two big ones UCD is a part of (Big West for most sports, Big Sky for football) are pretty good ones with which to identify. The Big West, because it spans so many sports, is a topic too big to cover in full, so we’ll restrict the discussion to the Big Sky football teans for now. 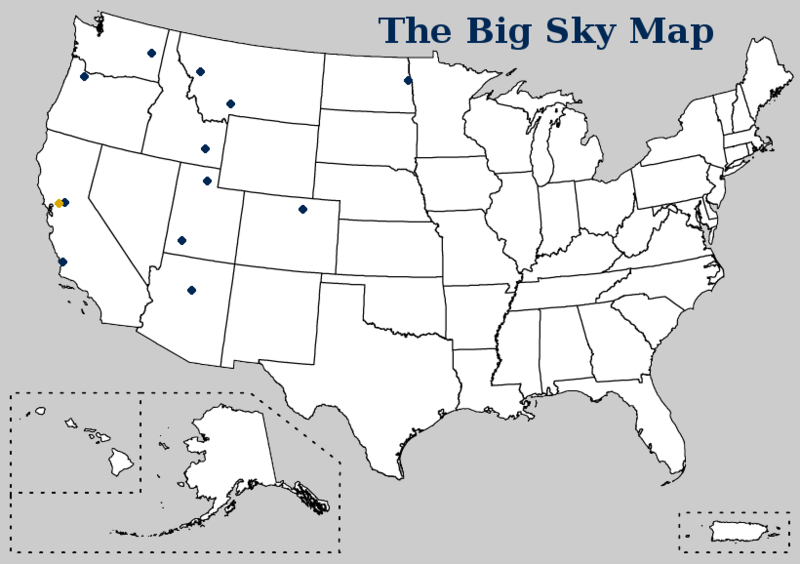 Now, the Big Sky has a rich history that makes for good supplementary reading, but will not be recounted here because the Ags have only been a part of it for two years. Suffice to say, it is an FCS conference (and a relatively good one at that) with clear perennial powers and stratification between successful and unsuccessful teams. This list is supposed to be a quick-and dirty reference that may help casual fans tell the good teams from the bad in a glance. Needless to say, that’s actually impossible; no program of any sort can be quantified in a single sentence. So take the quick (and often harsh) generalizations here with a large grain of salt. Last year’s champion, this year’s favorite, and possibly the best team at our level in the nation. A perennial power who crushed the Ags at our own homecoming last year. A possible contender who lost to the Ags last year but turned their season around with a foreboding upset of Montana State. A solid team looking to rebuild after graduating their star running back. An explosive but inconsistent team also dealing with the loss of an accomplished back. A recent power in the conference who may face problems without their old four-year starting quarterback. Our cross-town rival who does quite well most of the time but tends to fall apart in our annual games. A program more famous for ditching their Sioux mascot due to insensitivity concerns than for the actual performance of the team. A team struggling to find wins who solidly lost to the Ags at home last year. A rival with an unusual offense whose reputation (and maybe chances) have been soured by a recent robbery scandal. A weaker Big Sky program who has extreme difficulty winning on the road. A university that plays home to conference headquarters but struggles to field a title-contending team. The powerful dark horse in the conference, soon to emerge as a dominant program on the national scene. An unpredictable team that sometimes wins strong but also occasionally suffers blowout losses at unfortunate times. -We play in the Big Sky Conference for football, which is a really expansive and fairly powerful FCS Division I conference. -Eastern Washington will probably win the championship, but Montana or perhaps a middle-of-the-road school like Southern Utah might sneak in and steal the crown. -The Ags can beat the weaker teams and occasionally pull off an upset, but we still got blown out by some of the powerful schools last year. Up Next: Moving on to examine the Stanford matchup and the emerging UCD starting lineup. Posted on August 21, 2014 by Zander. This entry was posted in Aggeek and tagged aggeek, aggies, big sky, conference, football, sentence. Bookmark the permalink. What Does a Guy Have to Do to Get an Athletics Tile for MyUCDavis?